Do you have any unwanted hair on your arms, legs, or bikini area? Are you tired of waxing or shaving to remove it, only to have it grow back again? If you answered “yes” to these questions, you might be a candidate for laser hair removal, one of the most common cosmetic procedures performed in the United States. Dr. Kajal Roy, medical director of Niyan Medspa in Ashburn, Virginia, can give you advice about laser hair removal. Call to schedule a consultation or book online today. During lasr hair removal, intense light is beamed on hair follicles, causing pigment in the follicles to absorb the light. This process destroys the hair. Once you decide to schedule an appointment, stop waxing, shaving, or using tweezers. The reason is that the laser treatment targets the hair’s roots, which are temporarily removed during these other treatments. It’s also a good idea to avoid intense sun exposure for about six weeks before your laser hair removal treatment. Right before the treatment begins, your hair is cut. Depending on what part of your body receives treatment, you may have to wear protective eyewear. A cooling gel will be applied to make it easier for the laser to penetrate the skin. The laser sends pulses to the area, with each pulse lasting about a quarter of a second. Small areas, such as the upper lip, can be treated in less than a minute, while larger areas, such as the legs, may take an hour. What is part of the recovery period? For a couple of days following treatment, your skin will be red and feel like you have a sunburn. Cold compresses and creams help soothe the skin. Over a period of about a month, the hair in the treated area will start to fall out. During this process, wear sunscreen when you’re outside to prevent changes to your skin’s coloring. Blisters are rare but can happen, especially to people with darker skin. You also may experience swelling or redness. But all of these side effects will subside in about a month. In about four to six weeks, you should probably schedule another appointment. It takes between three and seven sessions for the hair to stop growing entirely. 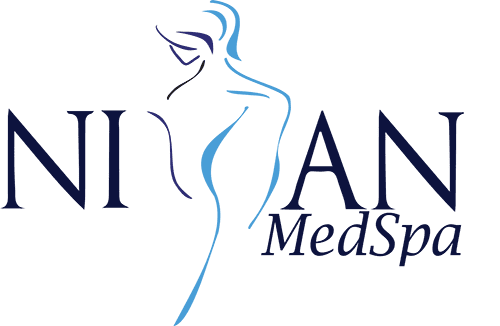 To learn more about laser hair removal, call Dr. Roy at Niyan Medspa in Ashburn, Virginia, or book a consultation online. She’ll be able to give you the sound advice you need.